This is your Sunday Sports Rewind! 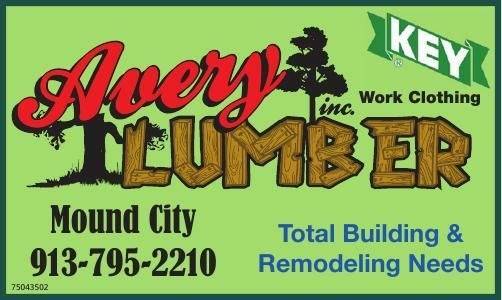 Brought to you by Avery Lumber located in Mound City! On Thursday our Junior High Basketball Teams traveled to Marmaton Valley. Our B-Team Girls and A-Team Girls both came up short. The A-Team game was exciting all the way to the end with Marmaton Valley taking the 18-16 win. On the boys side, the B-Team won 18-16 and The A-Team kept their season rolling with a 44-7 win. The A-Team Boys sit at 4-0 on the season while the A-Team girls are 2-2. On Saturday our High School Cheerleaders competed at the State Game Day Competition in Topeka. 20 of the top 2-1A Cheer Squads in the state were all competing, hoping to make finals. Our ladies were one of the six teams that made the cut. After the smoke cleared, your hometown cheerleaders finished the day in 4th place!